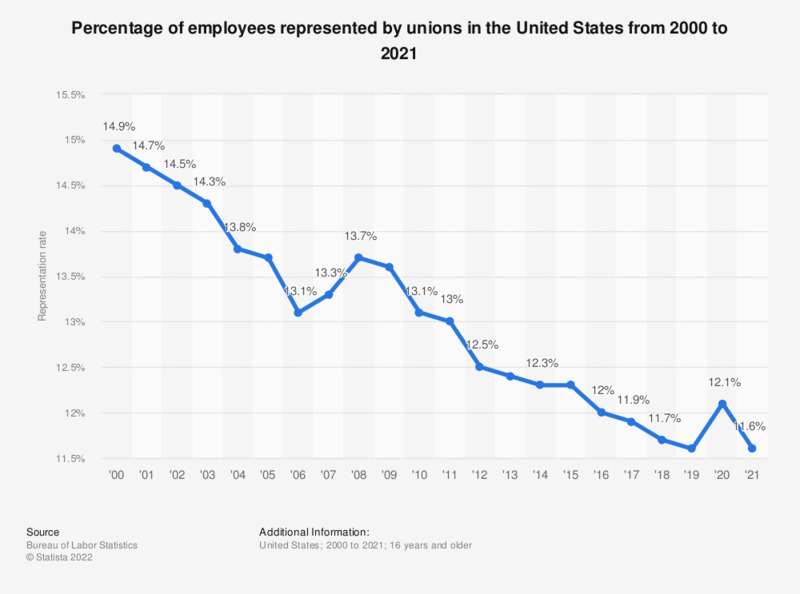 This statistic shows the representation rate of unions in the United States from 2000 to 2018. In 2018, the share of employees, who were represented by unions, was 11.7 percent. Data refers to wage and salary workers, excluding incorporated self employed. How much do you trust trade union leaders to tell the truth?